Obituary for Terry Odell Burrell, IV | Dante Jelks Funeral Home LLC. Terry, BurrellI, IV June 25, 2017 - August 24, 2018. Just 14 months after coming into this world, he took his last breath peacefully with his family on August 24, 2018, at 12:02 am. He was born at Children's of Alabama Hospital Birmingham. During this time he was given the name "Mr" Terry. He touched so many lives with his loving personality. (doctor's, nurse's, therapist, even the custodian's)..
"Mr" Terry's celebration of life took place at By Faith Ministries Church in Leeds, Alabama, on Sunday, August 26, 2019. He was born 27 weeks premature at Children's of Alabama Hospital Birmingham. Terry, BurrellI, IV June 25, 2017 - August 24, 2018. Just 14 months after coming into this world, he took his last breath peacefully with his family on August 24, 2018, at 12:02 am. 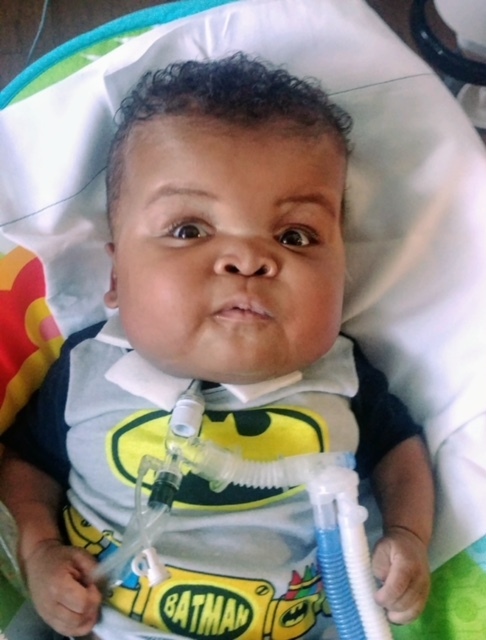 He was born premature at Children's of Alabama Hospital Birmingham. Cherishing his memories are his loving parents: Terry (Davida) Burrell, Jr., brother Terry Burrell III: grandparents, Terry (Jackie) Burrell, Sr, Angela Swain and David Doizer; great-grandmother: Mrs. Mary "Jewell" Goggins, Mrs. Shirley Burrell and Mrs. Evelyn Doizer.